There is a lot of knowledge created within the walls of Malmö University. But how do we make sure that it leaves a lasting impact, and contributes to a better world? Last week, Stormathon was arranged for the first time here at Storm. 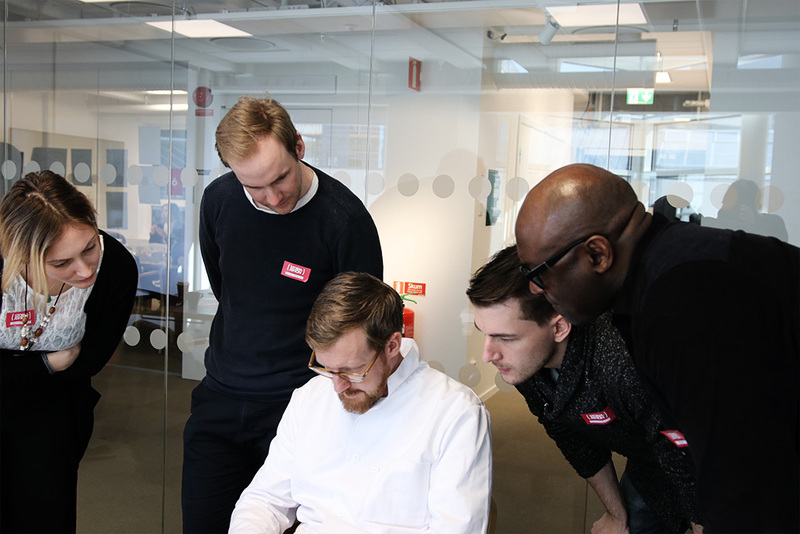 During 12 intense hours, 38 students from 27 different programs and courses, divided into 9 groups, worked together to solve a case from the City of Malmö. With the help from innovation coaches and facilitators, the students got a chance to practice their innovation and problem-solving abilities, as well as collaborating with people outside of their field. At the end of the day, they pitched their results in front of a jury and three of the teams were awarded a special prize. “Based on a real challenge, the students can understand and learn from each other’s different perspectives, competencies, and experiences, which strengthens them for future situations in the working life”, says Karolina Rosenqvist, one of the coordinators and part of the Storm team. For the first Stormathon, Storm teamed up with the City of Malmö who provided the students with a challenge of how to improve the maintenance of the outdoor environment in Malmö. “This was an exciting collaboration for us. 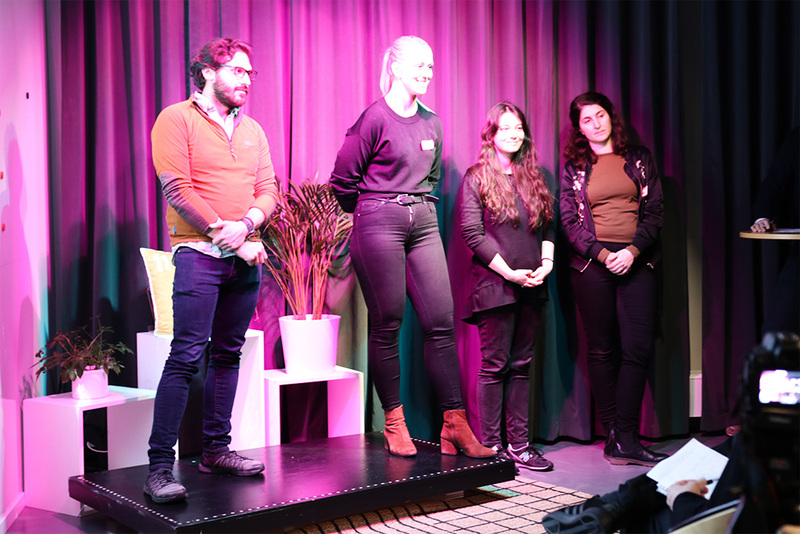 It was a way for us to get valuable input from young adults about how we can limit damage and sabotage and make the city more sustainable”, says Jenny Aurell, change leader of the project Digital Malmö. “Through Stormathon and similar events, we can encourage new ways of working that inspire more people within the institution to collaborate internally and externally”, says Anna Bogeskär Brandt, project coordinator at the University Executive Office. 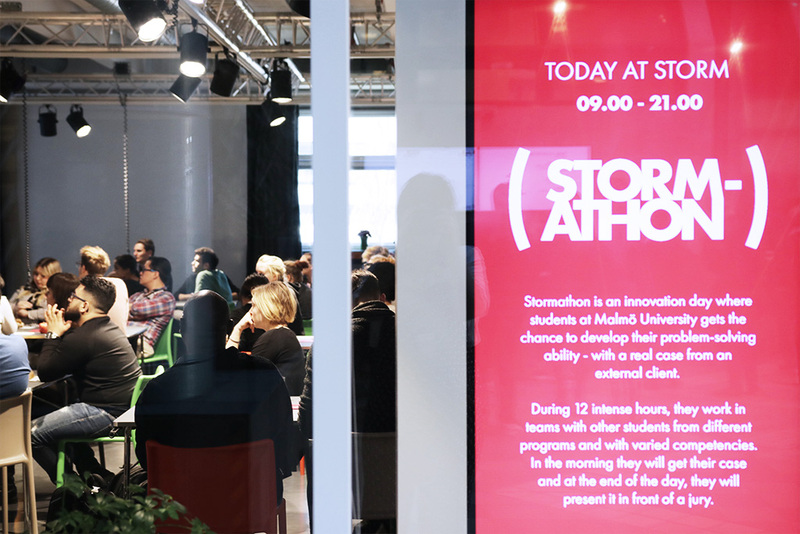 The Stormathon innovation day was a great success thanks to a great commitment from the students, the City of Malmö and specially invited guest lecturers. The winning team will now get the chance to continue developing their idea – with the help from the City of Malmö and MINC. while the second runners-up will be able to dig deeper into the innovation-practice by attending Skåne Innovation Day and Urban Innovation day. Storm is here for you who work or study at Malmö University. Our goal is to challenge and guide employees and students towards innovative thinking, make people meet and highlight research and innovation to build upon. By arranging this kind of events where collaboration is in focus we aim to stimulate networking and knowledge transfer as well as pave the way for transboundary meetings. Our hope is to be able to arrange more events like this, where students, teachers, researchers, and other employees can collaborate multidisciplinary and with external actors. At Storm, we see great potential in the concept and think that a next step could be to collaborate across faculty and departmental boundaries where students in specially selected programs with contact points in professional life could be targeted. “One of Storm’s strengths is that we have a broad network within the university, both on the education side and the research side. It is not certain that a research group that works with a particular issue knows what other research groups do in closely related areas. Storm could help with identifying collaborative opportunities and we can be used as a resource to establish collaboration between research groups and educational programs”, says Karolina Rosenqvist. But it’s not just about networking and collaboration. It’s also about exploring new methods and tools for innovation and problem-solving. At Storm, we believe in learning by doing. Compressing the innovation process to 12 hours is a challenge, but it also allows the students to get a taste of the different steps and try out several tools for ideation and presentation. We wanted to spark curiosity and give the participants confidence in their own creativity”, says Julia Micanovic, one of the Stormathon coaches and part of the Storm team. Stormathon was held on April 2nd and was a collaboration between Storm Innovation Hub at Malmö University and the City of Malmö. Föregående inläggFöregående Happy International Women’s Day!